child alert | » What is the optimal amount of time to allow children to spend playing computer games per week? Playing computer games is entertaining but like with almost everything you have to set limits on how long you spend in front of the computer. If you have a child who is starting to spend plenty of time in front of the computer playing games then you need to keep a close eye on their behaviour. If you find that they are starting to ignore other pastimes and even worse not doing their homework then action has to be taken. It’s difficult to come up with an exact figure of how many hours your child should be spending playing computer games. The American Academy of Paediatrics says children shouldn’t be spending more than two hours per day, but it’s the way that your child behaves that is the most important aspect here. 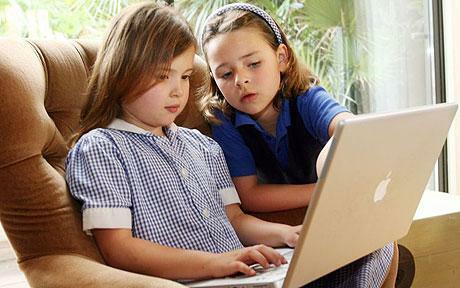 Check out Quibly and other child safe websites for more information on these and related issues. If they behave differently due to the amount of time they’re spending playing computer games then it’s time to cut down the number of hours they are playing games. Psychologists who study video games and kids say parents needn’t worry about the amount of time spent gaming, unless screen time starts to affect school, health or social life. It’s an idea to familiarize yourself with the warning signs of children playing for too many hours on their computer. It is possible for children to become addicted to playing video games. They can become withdrawn from family and friends and start to live more in the virtual world than in the real one. It is important for parents to understand what the signs and symptoms are, so that they can recognize them if they develop in their child. Also try and introduce your child to educational games rather than the usual selection of blowing up aliens and helping Batman defeat his arch-enemies. Your child may want to keep spending time playing computer games but if some of the time spent can be on something more beneficial to them then that’s going to be a lot more helpful. It is advisable to limit the number of hours your child spends playing computer games. There are so many other more beneficial activities that they can be doing. The number of hours you decide your child can spend playing computer games is up to you but the recommended two hours a day is a good starting point especially if it means they can get back to enjoying other activities and stepping back from the horrible possibility of becoming addicted then that can only be good for your child.